Health concerns in Thailand - What precautions to take before travelling? 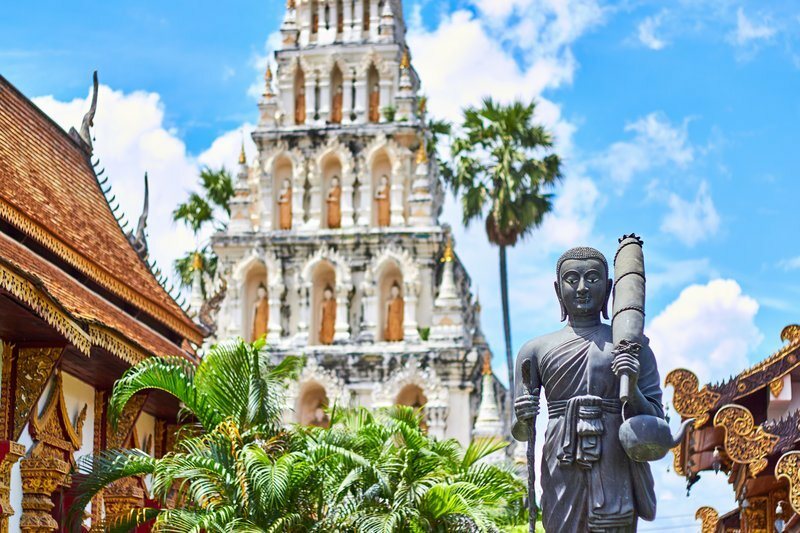 Thailand is a popular holiday destination, and not without the reason. There’s something for everyone: beach paradise, bustling city life, as well as exotic nature with mountain views. Therefore, it is suitable for both the adventurous and those who prefer to relax. In general, Thailand is a safe travel destination, but there are some precautions you should take before boarding. You should visit your GP 4 to 6 weeks before leaving for your trip. You should at least check that your routine vaccinations are still valid. These include measles-mumps-rubella (MMR) vaccination and diphtheria-tetanus-polio vaccination. In addition hepatitis, A vaccination is recommended. A-hepatitis is a liver infection caused by a virus, which spreads via the poo of an infected person. Therefore, you can get A-hepatitis from polluted water, for instance. This is why you should avoid ice cubes whilst travelling to countries that have a high risk of hepatitis A. This disease can also be sexually transmitted, just like hepatitis B, which is far more dangerous than hepatitis A. After getting the infection, it will take 15-50 days before the first symptoms of hepatitis A will arise. However, the virus itself will start being present in excrement one week before the symptoms start. The first symptoms often start very suddenly and include for instance loss of appetite and nausea. Also, fever and stomach ache are common symptoms. Jaundice, where your skin and the whites of your eyes turn yellow, usually starts after a few days. Also, urine will turn dark and poo turns pale. In the most popular tourist areas, there is no malaria risk, and you will not need malaria medication. However, you travel close to the border of Burma or Cambodia or are planning to go camping in the midland, the risk gets higher. If this is the case, you might want to consider prevention medication for malaria. Also, be sure to avoid mosquito bites to minimize the risk. Find out more about malaria and how it’s treated. Even if the risk of malaria is low, you should still avoid mosquito bites. It is also a viral infection which is spread by mosquitoes. In most people, the infection is mild and lasts only about a week. In very rare cases it can be serious, and potentially life-threatening. The symptoms include high fever, headache, pain behind the eyes, muscle pain and loss of appetite, just to mention a few. Generally, the symptoms are very flu-like. If you happen to get dengue fever, it can be treated at home. You can take paracetamol to relieve the pain and fever. You should also drink plenty of fluids and rest well. Avoid aspirin and ibuprofen, as they can cause bleeding problems in people with dengue. Thailand is seven hours ahead of the UK, so jet lag is highly likely. This is not a dangerous condition, but the symptoms can impact your holiday. Jet lag can cause tiredness, headache, and irritation. Also, concentration problems and indigestion are possible. Jet lag is purely due to the time difference, and to recover you should aim to rest well, and try and get some sleep on the plane. It’s recommended to take the first couple of days of your holiday easy so that you have time to recover if you suffer from jet lag. Especially if you are travelling around by bus or car, you might experience travel nausea, which is also known as motion sickness. The roads in Thailand can be bumpy and winding, so many are prone to getting motion sickness. This is easily prevented by DIY methods, such as looking into the horizon. For more severe cases, there’s also medication available.